Certification may be critical when you need a deeper understanding of GCAA® diagnostics. By acquiring credentials, you are also able to demonstrate your global competence expertise. Become a Certified Global Competence Practitioner by the experts in global competence. To join our network, attend one of our certification programs and gain global competence mastery skills, and you will also benefit from ongoing support in a community of certified practitioners that spans the world. Cultivate a comprehensive understanding of the state-of-the-art insights in the area of global competence, global mindset, and intercultural effectiveness. Understand why past models of intercultural competence and assumptions about cultural protocols are neither practical nor appropriate today. 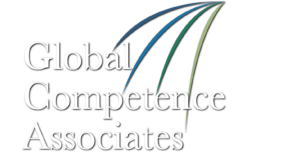 Gain deep insight regarding the Global Competence Model™–a clear and comprehensive model based on worldwide research that anchors consistent assessment and development across an organization. 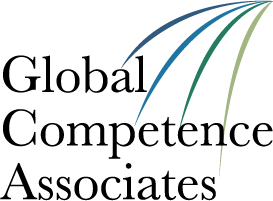 Learn how to implement the Global Competence Aptitude Assessment (GCAA)® and interpret its targeted metrics at both the individual and aggregate levels in order to systematically develop global competence. The GCAA® is a globally validated instrument that objectively measures the global readiness of working professionals and students. Develop strategies for embedding global competence into the talent and development systems of organizations, as well as the curriculum and programming of academic institutions. Enhance your skills as a leader, coach, consultant, and advisor that can be applied immediately. Acquire ongoing support and continuous development as part of a network of global competence practitioners dedicated to advancing global competence in business, education, government, and nonprofit organizations. Communicate your expertise with our digital badge so you can enhance your personal branding. This certification program is a highly interactive, intensive two-day process.